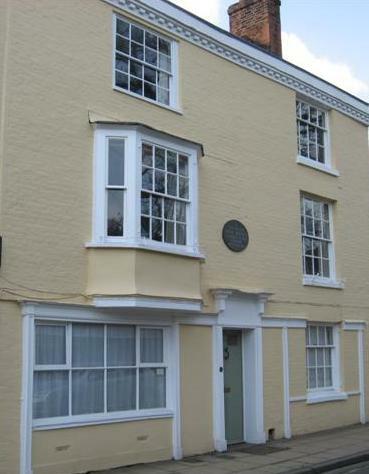 On July 18, 1817 Jane Austen died at the age of 41 of Addison’s disease, a diagnosis that remains largely disputed. Her last hours are described by her grieving sister Cassandra to Fanny Knight, Jane’s beloved niece. Other posts that Tony Grant and I have written on the topic sit below. 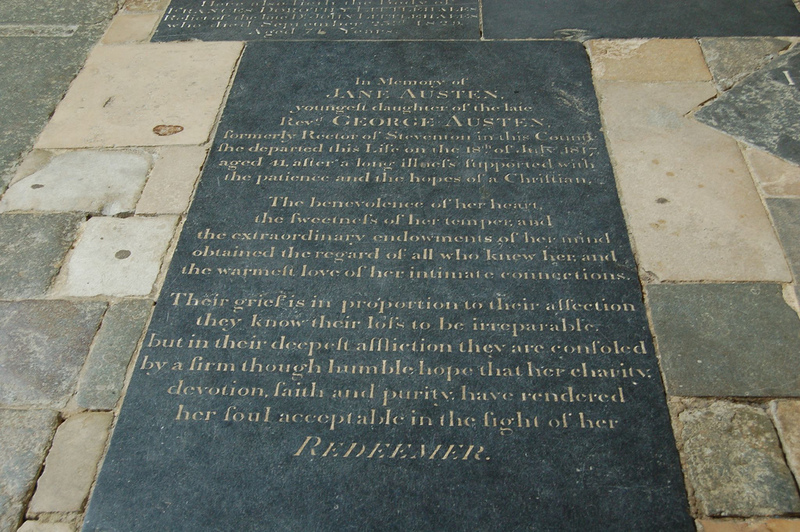 Jane Austen is buried in Winchester Cathedral. 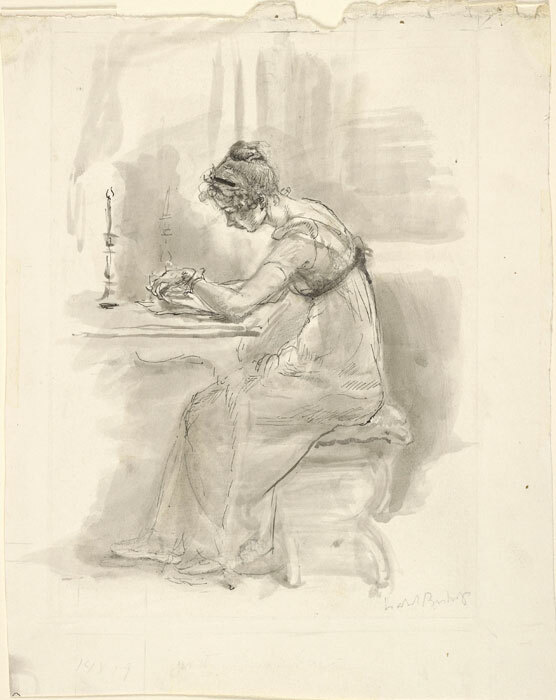 these five letters are peculiarly interesting, not only because in every line they are vividly characteristic of the writer, but because they differ from all the preceding letters in that they are written, not to an elder sister, but to a niece who constantly sought her advice and sympathy, and whom she addressed, of course, in a different manner, and from a different standpoint. The other and, naturally, to me a consideration even more important, is that, according to my humble judgment, these letters, whilst they illustrate the character of my great-aunt, cannot, when explained, do otherwise than reflect credit upon that of my beloved mother; whilst they prove the great and affectionate intimacy which existed between her and her aunt, and incidentally demonstrate the truth of a remark in one of Cassandra’s letters that there were many points of similitude in the characters of the two. 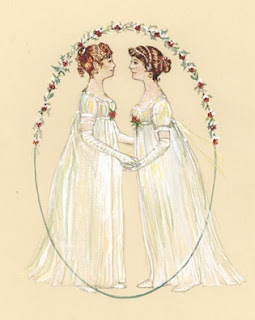 Jane’s beloved niece, Fanny, recalled Jane and Cassandra in 1869, when Fanny was in her seventies. 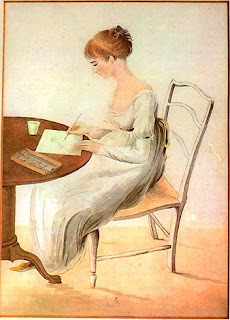 Image #2: Cassandra’s watercolour portrait of Fanny Knight.